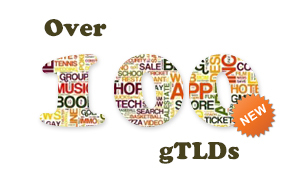 The total number of approved new gTLDs that are expected to soon enter the Sunrise phase has reached 107. The Internet Corporation for Assigned Names and Numbers (ICANN) has delegated 16 more new generic Top Level Domains to the root zone, bringing the total number to 107. The number of new gTLDs introduced so far into the Internet’s root zone and waiting to go “live” has topped 100 and increased five-fold over the number of TLDs introduced in the last quarter century. ICANN’s new gTLDs program has been initiated to expanded consumer choice and industry competition. The Internet landscape is about to be transformed thanks to the innovation that these new domain names will provide. Until the New gTLD Program, Internet users could only choose from up to 22 generic TLDs. Soon, it will be possible to register a domain name that aligns specifically with the vision of a website’s owner. The Internet is becoming a truly global resource. With over 1,300 new gTLDs to be introduced to the Internet within ICANN’s program, the new domains have an enormous potential to change the face of the Internet we know today. New gTLD registries are operating in nine countries, including Switzerland, Australia and China. While the initial 22 gTLDs consist of Latin characters only and are mainly abbreviated English words, some of newly introduced domains embrace Arabic, Chinese, German, and Russian languages. Furthermore, community-oriented and geographical gTLDs are being introduced as well, for example .WIEN and .BERLIN. The Registries for those domains have self-identified as community applicants seeking to operate the .WIEN and .BERLIN domains on behalf of the citizens of Vienna and Berlin, respectively. These advancements in the Internet utilisation will support the next generation of Internet users. With more than one device enabling online operations, more meaningful and defined online space will support growth, innovation and competition. Defining identities and helping companies align their brands more closely with their products or services will be more efficient with the new gTLDs. Geography and common interests will emerge as new grounds for forming new communities while communication in native languages, thanks to the IDNs, will enhance the Internet experience of millions of individuals across the world.